In continuing with the “I Want to Be” series, which highlights professions that people may dream of doing, we go from barbershops and hotdogs, to getting your faces “beat”! I had a great interview with Carla Scott, who is a professional make-up artist (MUA), and she shared some really great tips. Apply these tips not to become a MUA, but for your life! Carla Scott, born and raised in Baltimore, is a self-proclaimed, “salon baby”, growing up around cosmetology. While Carla had worked in hair and make-up for years, Carla took a step of faith, and left working in health care, and decided to actively pursue beauty and fashion. In 2011, she moved from Baltimore to Charlotte, and from an acquaintance, she was introduced to photographers, and that started her career. 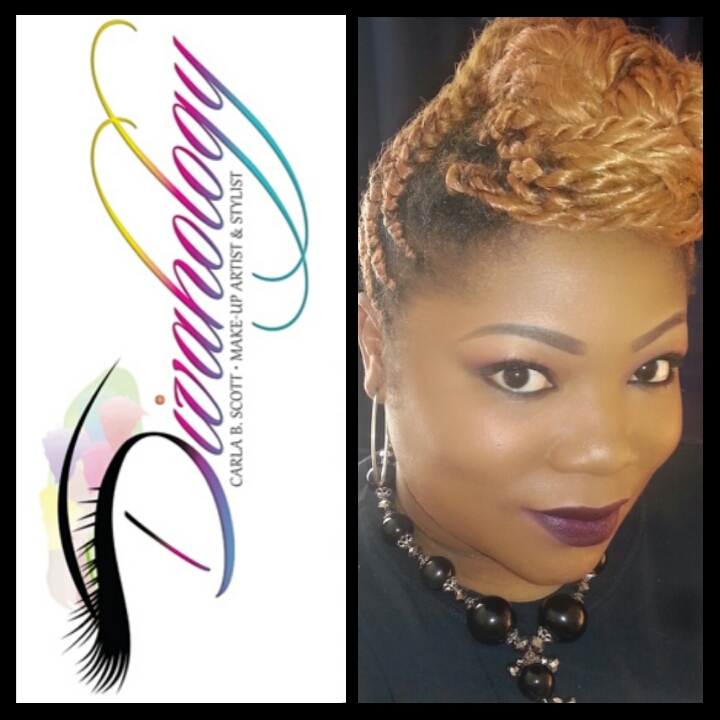 Although she was self-taught, for over 7 years, she wanted to take it to the next level, as well as be able to teach, Carla became certified in advanced make-up artistry, air brushing, and lash extensions in 2014. Identify what you want to do: Carla stated that some people may want to do make-up for themselves, and their friends, which requires no certification, but if you want to take it to the next level, and advance your skill set, look for certification programs, obtain a cosmetology license or an esthetician license, as some organizations may require you have them. THE.WORK. : Carla points out that you should “perfect your craft, even when you may not feel like it.” She illustrates that you should practice on your friends, family—any face that you can work on. Carla blew UP my phone when she dropped this jewel: “BEING READY IS ALWAYS BETTER THAN GETTING READY.” Carla shared with me of a time where because she was ready, opportunities made themselves available. Imagine when those opportunities presented themselves, and she wasn’t ready? She might have missed out. Written by Garry O'Neal Jr. Location, Location, Location! : Aaron stated that to have successful customers, you must have a successful location. 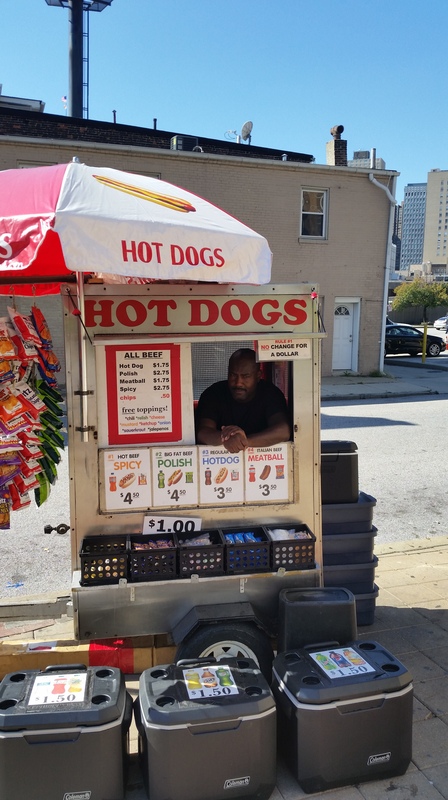 Plan EVERYTHING: Aaron says that he wanted to own a hot dog stand since college. While everyone was attending job fairs, he was writing down ideas, pricing information, marketing strategies, and scheduling. Do your research: Figure out what exactly you need for your vending license, what is the sales tax in your state, and requirements for selling food. P.S. If anyone, after reading this, starts their own hot dog cart business, could I get a hot dog named after me? Names like the “Big Garry”, or the “See.Plan.Do. dog” would work…right? There are many occupations that people would love to be involved with –bloggers, hairstylists, trainers, coaches, as well as a host of other dream jobs/careers/hobbies. Here is the thing-the occupation that you may have daydreamed about CAN BE A REALITY! There are people (some you may know), that are in the fields that they have stopped dreamed about, and started making it happen. To bring home this fact, this series, “I Want To Be” will be highlighting people already IN these positions, so that 1- you see that it IS doable, and 2-learn from the tips that they have generously offered. The bottom line is, there are MILLIONS of people living the lives they have envisioned. Why can’t YOU? 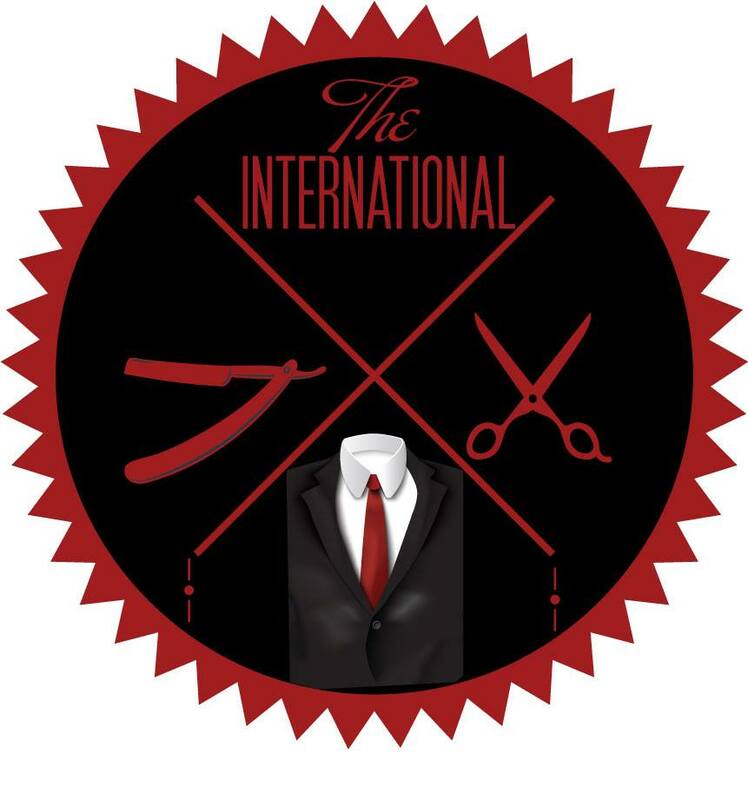 Be an apprentice/Enroll in a barber school: By being an apprentice (learning under the tutelage of a Master Barber), or by attending classes at a barber school, they will equip you with the knowledge to equip you to be a barber. Know your tools: Knowing how to effectively use guards, clippers, shears, combs, and other equipment, as well the proper way to sanitize your tools, is critical in keeping you and your clients safe. Study & Practice: Although Rauf has been cutting since he was a kid, he says his STILL studies new styles, and different techniques. If you have ever desired to become a barber, here you go! 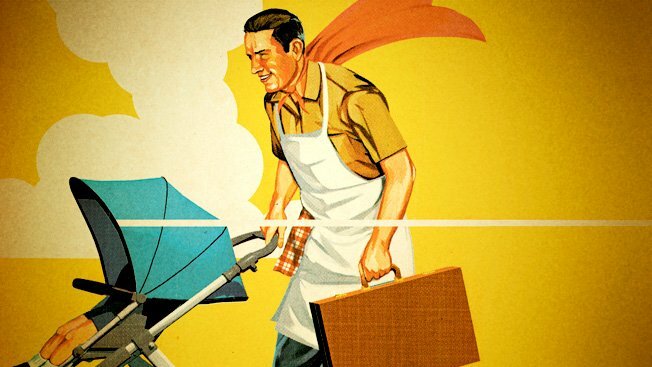 Recently, there was a hashtag, #endfathersday that showed up days before Father’s Day, which caused a lot of controversy. Although #EndFathersDay was found to be just a hoax, people still used it to spew a lot of hatred. My dear brothers and sisters, allow me to share my thoughts on the subject:If you are in favor of this “ideology”, I will pray for you. I can’t imagine the person who is so full of hatred and anger that they would even consider engaging an ounce of effort into this….madness. I assume you may have had unsuccessful male interactions (either from a father, or boyfriends), and for that, I can see where your suppressed anger and disappointment may manifest itself into childlike behavior, such as a hashtag, a rant, or passive aggressive behavior in your life towards males. At the end of the day, if there were some external factors (i.e. father who was absentee, or abusive etc. )that were out of your control, I pray that you release yourself from the past. I cannot imagine the pain that you have experienced, and for that, I pray you get the help and support you need . Do NOT allow the past to hold you hostage from your present and future. If your anger stems from poor male relationships, (i.e. boyfriends, father of your child(rens), I hope that you look at the situations, and learn from them. While it is easy to point the finger (and you may be completely valid in your judgement), I also challenge you to accept 100% responsibility for your role in the situation.Were there things that you accepted,despite your better judgement? If you saw those red flags, and choose to ignore them, then you are just as much to blame. Bottom line, if you decided to “SHIFT” you can now rejoice in the fact that you now know what you DON’T want in relationship. I hope that you take time out, release yourself from the past, and keep optimism and joy in your heart. Allow the men who have done what they are supposed to do,to be honored and praised. You are better than that……right? Behold, the final installment of the dating advice I have laid out to you! Hopefully, we have survived the gambit which was winter, and now spring should be peering around the corner. With the birds chirping, and the flowers in bloom, most people will start dating again. Before you take that leap and jump back in the dating pool, please make sure you are caught up on “Relationship 101” , “Dating 102“, and “The 3 C’s“. Trust me, after reading those, you will ensure you don’t waste your time! According to weather.com, there are 5 categories of hurricanes, ranging from category 1 (minimal) (74 – 95 mph winds, damage primarily restricted to shrubbery, trees, and unanchored mobile homes; no substantial damage to other structures) to category 5 (CATASTROPHIC!) (winds greater than 155 mph, complete failure on many roofs of residences and industrial buildings; extensive shattering of glass in windows and doors; complete buildings destroyed; small building overturned or blown away; mobile homes demolished). Now, I know you are wondering what hurricanes have to do with dating. The reason they are placed in categories,, is to inform you of what you may experience, and how you should treat them. In dating/relationships, it is also vital to place people in their proper categories, that way, you can know what to expect, and act accordingly. There have been too many instances where people have NOT properly categorized their relationship with an individual, and disaster has occurred. 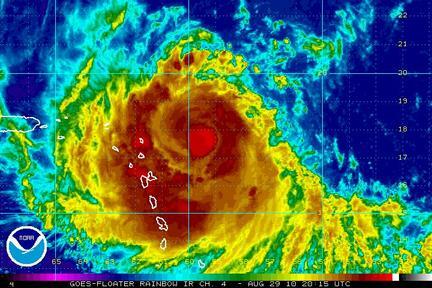 Imagine if your local weatherperson told you that there was a category 1 hurricane, coming tomorrow, when really, it was a category 5! Imagine the chaos! So, to help you avoid catastrophes in your life, below is a list of categories for you to review. I challenge to place the people in your life in the correct categories, or problems may occur! Friends: Friends are defined as “a person whom one knows and with whom one has a bond of mutual affection”. “Friends” has been a title tossed around too easily. Not everyone you meet is your friend. Just because you work at the same place, see them at a nightclub, praise the same deity, or even liked a similar post on social media, you are not friends. You may have a lot of “friends” on social media, but in the event of an emergency, could you call on all of them? Carefully choose whom you refer to as friend. Exclusive: (defined as: “restricted or limited to the person, group, or area concerned”) As a former gamer (I am married, with 2 kids, I couldn’t find the time even if I wanted), there would be one game that is partnered with one console, and only one console- which means, that a game like “God of War” would only be available for PlayStation 3—if you owned an Xbox, or another gaming console, you wouldn’t be able to play the game, outside of purchasing the PlayStation 3. When you are exclusive, there are no other game systems you can be played on. It is just you, and that person. While this is the blossoming stage of a relationship, I would highly suggest that you define what “exclusive” means between the 2 of you, and what that entails. Relationship: (an emotional or other connection between people) In reference to dating, this is where you want to be. This is the last stage, before the ultimate level (marriage). Sometimes, people may confuse being in a relationship with dating. You may have feelings with someone while you are dating them, but being in a relationship with this person is more than just casually going out, it is a strong connection about that person that can bloom into a long-lasting relationship. You should have no doubt that you are in a relationship, based upon your discussions. Do NOT assume when it comes to dating and relationships. You may think that you are on the same page, but you may find, you are not even in the same book, get it? When you add someone to a category, naturally you associate feelings and actions within that category. It is critical to place them in the correct category based upon their actions and statements. Often, people incorrectly categorize individuals; if a person you meet is just an acquaintance, it would not be fair to you, or that person to put them in any other category. A person’s placement in a category should be based upon their actions, not just statements, or the category in which you WANT them to be. These categories are here to protect your time, effort, and feelings. They are too valuable to be wasted…right? If you are creating your own list of categories, please share. P.S. There was one category that I left out- the ole’ “Friends with benefits” category. Friends with benefits, or FWB, are commonly associated with people being sexually involved, with no attachments. Look-we are all adults, and if FWB is for you, than what consenting adults do is their business. I would highly suggest that you let your intentions known. It may be for that person, it may not—bottom line, tell them immediately, so they can decide if that is the category they want to be in. There is nothing worse than a person being robbed of making their own decisions. Here in Maryland, we just got trampled by a snowstorm. I just got finished shoveling my sidewalk and surrounding area, and it looks awesome! (If I do say so myself) As I am finishing my hot chocolate and relish at the awesomeness which is a completed sidewalk (if I do say so myself), I wanted to share my thoughts of shoveling and in true Life Coach fashion, how they relate to dealing with issues. Be prepared! SHOVELING.IS.WAR! It is man versus Mother Nature! 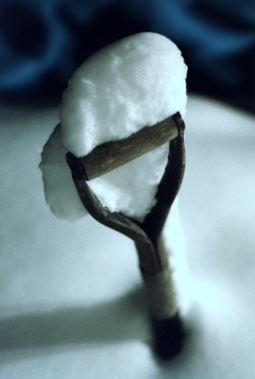 When it is time to shovel, it is best to have your equipment ready—salt, shovels, cups of hot chocolate- make sure that when you are ready to work, you are ready to work. Map it out! Sometimes, mapping out what you need to do can be pretty easy; for instance, I started with the porch and the steps, down the walkway, and removed the snow off of the cars. Other things, however, may require a little more patience and planning. Remember the adage, “poor planning leads to poor performance”? It is true. Deal with issues, before they deal with you! Today, there was a lot of snow, and later tonight, it will be more snow, this time, it will be mixed with rain, causing a slush and ice mixture. If I had waited until tomorrow to deal with the snow that was outside now, I would have had a worse time trying to deal with not only heavy snow, but ice.It is better to deal with issues that are emerging now, then to wait and it proves to be more difficult to deal with. Get some help! It was great to see neighborhood kids capitalizing on the snow, offering to shovel sidewalks, and get cars out of their wintery prison. If you need help with completing goals, utilize your resources! Get friends, or professional help. You don’t have to tackle issue alone. Heal! Right now, I don’t feel any pain, and I am feeling pretty good. I may feel some aches and pains tomorrow. Make sure that when you deal with your issue, you take some time to heal. Taking the time for you charges those proverbial batteries that we rely on. Reflect! It felt good to finish shoveling. Even as I was shoveling, I still took time to have a little fun and throw snowballs at my son. When you deal with an issue, take time and give yourself credit for the hard work you put in. You deserve it! P.S. If you are in an area where there is snow, throw a snowball, do a snow angel, grab a sleigh, and smile. Months ago, I was online, and saw a great idea that would help out the community. They were called “blessing bags”, and they provided essential items (soap, snacks, toiletries etc.) to our homeless brothers and sisters. So as I did previously, I put the word out, and again, the response was awesome! 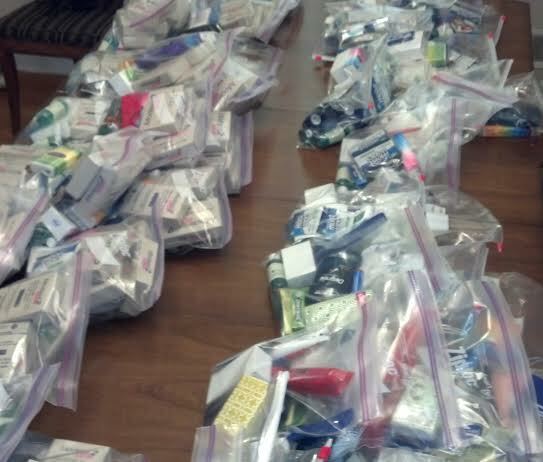 We were able to not only meet our expectations of the amount of “blessing bags”, but we exceeded it! We even had other various items to donate. Again, here I am, simply saying thank you. So the traveler went to another door and asked again. The answer was the same: “I have nothing to give you.” He went from door to door and each time was turned away. Undaunted, the traveler went to the village square, took a small tin cooking pot from his bag, filled it with water, started a fire and dropped a stone in the pot. As he boiled the water, a passing villager stopped and asked him what he was doing. 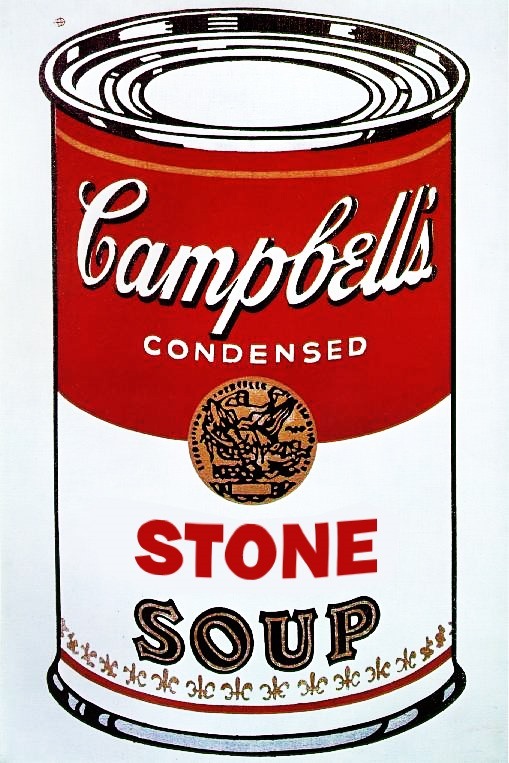 The traveler replied, “I’m making stone soup. Would you like to join me?” The villager said yes, and he asked if carrots were good in stone soup. “Sure,” said the traveler. The villager went home and returned with carrots from his garden to add to the boiling water. In time, a crowd gathered with everyone offering their own favorite ingredient: mushrooms, onions, salt, black pepper, acorn, and squash. Everyone wanted to be part of the creation. Finally, the traveler removed the stone and declared, “The stone soup is ready!” And the whole community joined in a feast where there was none before. While it may prove difficult for one person to take on a task, when the entire community gets involved, anything is possible. Any donation, whether big or small, is a blessing. I sincerely thank you for your donations, and adding to the pot. P.S Here is the picture of the completed bags! We donated the female blessing bags to the House of Ruth, and the men blessing bags to the Helping Up Mission, both here in Baltimore, Maryland. You can also check out my Facebook page, CommUnity Action of Baltimore for upcoming community projects!